MPPSC Forest Ranger Admit Card 2018: Aspirants who applied or registered for the State Forest Service (Mains) Exam 2018 for the for the Forest Ranger and Assistant Forest Guardian positions, they need to download the MPPSC Forest Ranger Admit Card 2018 now. The officials of the MPPSC has released the link to download the MPPSC Assistant Forest Guardian Hall Ticket 2018 for the State Forest Service (Mains) Exam 2018. The officials are going to conduct the State Forest Service (Mains) Exam 2018 on 23rd July 2018 to 28th July 2018. In this page, we provide the official link to download the MPPSC Forest Ranger Admit Card 2018. MPPSC has declared the vacancies of 106, Forest Ranger and Assistant Forest Guardian positions. The Forest Ranger positions are 100 and Assistant Guardian positions are 6. To get the more information about the MPPSC Forest Ranger Admit Card 2018 to go to the below sections on this page. Applicants are you ready to take the Madhya Pradesh Public Service Commission Examination? If you are ready then you have to take the printed copy of hall ticket or admit card. The Madhya Pradesh Public Service Commission released notification and invited online applications for the recruitment of Forest ranger positions. A huge number of applicants applied for the exam. MPPSC Forest Ranger Admit Card is available from 16th July 2018. The applicants need to download the admit card on or before the exam. The management of the MPPSC going to conduct the State Forest Service (Mains) Exam 2018 from 23rd July 2018 to 28th July 2018. Candidates who filled the application form are only allowed to download the admit card. Examination date is also nearer so the candidates need to download the admit card as soon as possible to avoid the rush of people. In this page, we also mentioned the importance of MPPSC Forest Ranger Admit Card and documents need to carry along with MPPSC Forest Ranger Admit Card 2018. Applicants who want to download the admit card or hall ticket have to ready with their application id and date of birth. After entering those two it will ask a verification code of calculation to check whether the person is a Robot or not. The date of birth of the applicant needs to be the same which is entered while filling the application from. The MPPSC Forest Ranger Admit Card 2018 contains the details like personal details of the applicant, examination date and timings, venue of the examination. 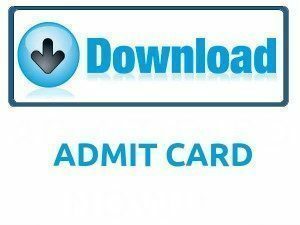 Candidates after downloading the MPPSC Forest Ranger Admit Card 2018 need to check all the information which is printed on the MPPSC Forest Ranger Admit Card 2018. If any faults are found applicants need to inform the body of the Madhya Pradesh Public Service Commission. After verifying all the details candidates need to take hard copy of the MPPSC Assistant Forest Guardian Hall Ticket 2018. Candidates have to take multiple copies of hall ticket because another one is used if one is lost at the time of examination. Every year Madhya Pradesh Public Service Commission releases vacancies for various positions. This year it released vacancy positions for Forest Ranger and Assistant Forest Guardian. For any examination hall ticket or admit card is the important thing need to be carried by the candidate to the examination hall. Admit card acts as an identity proof at the time of examination. Candidates without hall ticket or admit card cannot allow writing the examination. Along with the MPPSC Assistant Forest Guardian Hall Ticket 2018, some particular documents need to be carried by the applicant to the State Forest Service (Mains) Exam 2018. The details of the candidate in the documents and the admit card need to be the same. If any difference is there candidates have to take responsibility. The photograph uploaded in the application form and the photograph carried by the candidate to the examination hall should be the same. So applicants need to carry the photograph which is uploaded in the application form. The signature of the candidate should be the same on the admit card and on the other documents. So candidates need to check all the documents along with the MPPSC Forest Ranger Admit Card 2018 before going to the examination. Admit card or hall ticket mainly used to check the bogus candidates who are appearing to the examination without registration. The steps to download the MPPSC Forest Ranger Admit Card is quoted in the below sections of this page. Go to the official website of Madhya Pradesh State Public Service Commission www.mppsc.nic.in. Search for the MPPSC Forest Ranger Admit Card for various positions. Click on the MPPSC Forest Ranger Admit Card link. Hit on the login button. MPPSC Forest Ranger Admit Card will appear on the screen. Download the MPPSC Forest Ranger Admit Card. Through this article, we mentioned all the details about the MPPSC Forest Ranger Admit Card. We think it is useful to all the responsible and eligible applicants. Candidates having any more clarification or anyone having doubts can leave a reply below in the comment box. For more updates like recruitment, syllabus, results, previous papers visit our website Sarkari Naukri. Thank You.